Today marks the day when Microsoft puts an end to extend support for Windows XP, and along with its death, we’ll also see the “world’s most hated browser” finally getting the axe – Internet Explorer 6. Today Windows XP officially dies and Windows 8.1 update is also being rolled out in the same day. 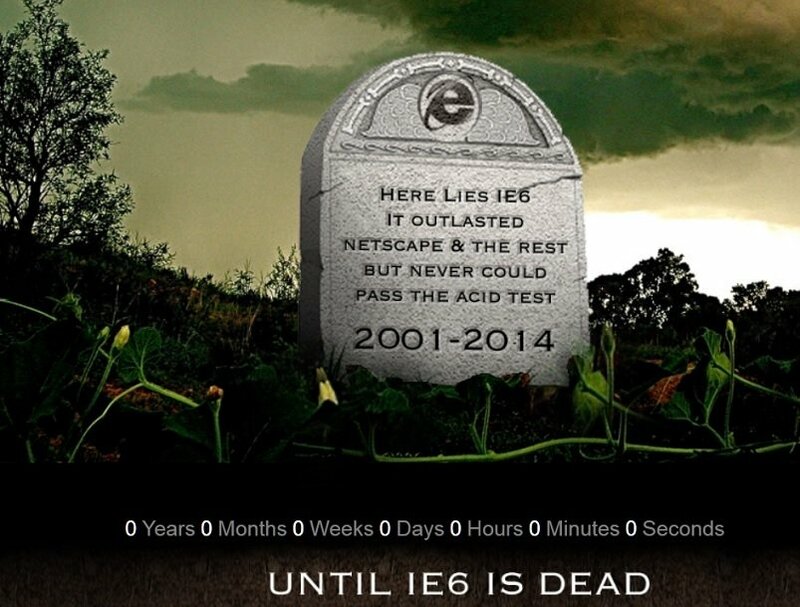 Another product which gets the axe is Internet Explorer 6, the “most hated browser” in the world for which even a “funeral website” has been created with a countdown until its final day. The sixth version of Internet Explorer has been criticized for its security issues and lack of support for modern web standards. Nonetheless, with all the campaigns which were urging users to ditch and stop using it, at the end of March, this year, Internet Explorer 6 had a IE market share of 4.15%. If you recall, the most important reason why Internet Explorer 6 became so hated and infamous was because it lasted for so long – it took more than 5 years for Internet Explorer 7 to finally arrive. And until then, users’ security had been compromised. That was the moment when Internet Explorer started to being perceived as “the browser that you use to download other browsers”. But with Internet Explorer 11, things are finally looking much better, and it seems that it took Microsoft quite a while to learn its lesson. Internet Explorer follows the support lifecycle of the Windows operating system on which it is installed. This means users on Internet Explorer 6, 7 and 8 on Windows XP will also end support. We encourage you to upgrade to a modern OS like Windows 7 or Windows 8/8.1 to receive the full security and performance benefits of a modern browser like IE10 and IE11.